← Christmas is the season for…………. jolly well finishing stuff off! 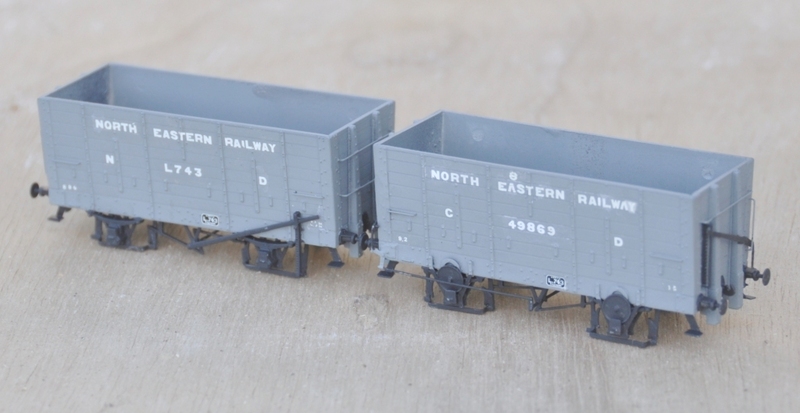 I have made more progress with the hoppers, having completed the main paintwork of these and also the lettering. Both the livery and the lettering offer further opportunities for variety, which I have taken. First up are a pair of wagons lettered with the full legend “North Eastern Railway”; a livery applied on some of them upto 1903. This was a fair pain to create, as the full words had to be spelt out from an alphabet; even now I am not totally happy with this and a few tweeks to some of the letters is possible. The most common livery for the period that Benfieldside is set (just prior to the first war), was the livery applied between 1903 and 1911 and the legend NER was used. The final livery was on a darker grey and NER was dropped and replaced with a mere NE. This vehicle had a load designation on its end too, which appeared to be an occasional feature. Once I have had a chance to tidy up the lettering, I will paint the interior a dirty black and speckle it with coal dust. I will also make a coal load. 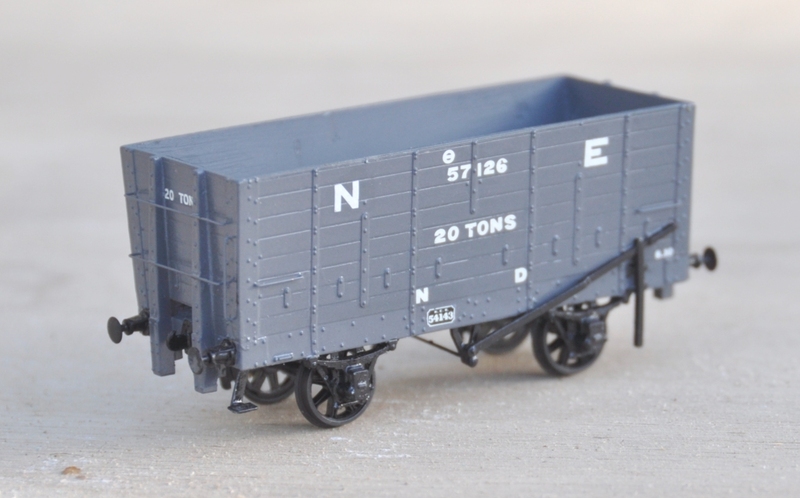 Then these need the application of grunge as I can’t believe that coal wagons were kept particularly well! Posted on January 2, 2015, in Benfieldside, Workbench (stock) and tagged Benfieldside, EM, Model Railway, ner, North Eastern Railway, slaters. Bookmark the permalink. 1 Comment.